We have been loving this white been salad around here lately. Cannellini beens (AKA white kidney beans) are full of great dietary fiber and super rich in minerals such as iron, magnesium, and potassium, while also a great source of protein. We also love that these white kidney beans support the kidneys, the dominant organ of winter. 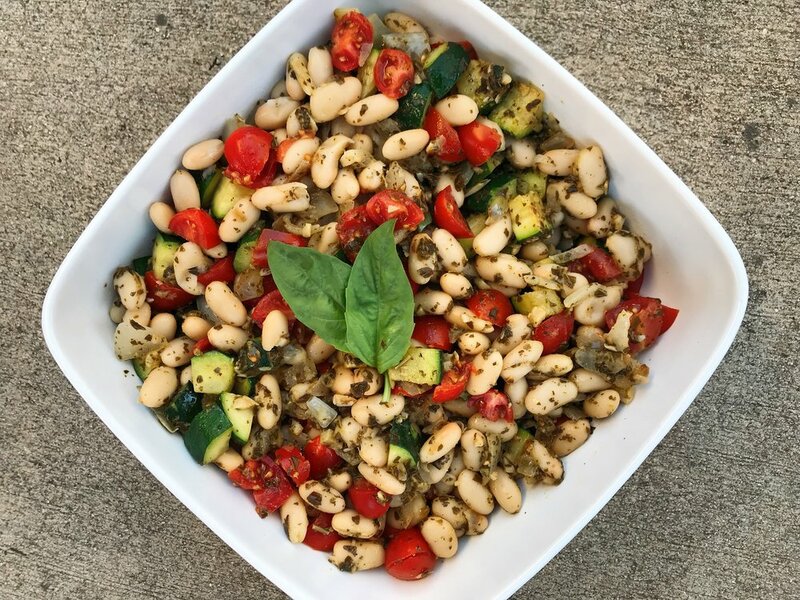 White beens are hearty, tasty and just perfect with this delicious pesto tossed in. Serve over a bed of your favorite seared greens and you have yourself a great wintery warm salad. This salad is the perfect side dish for any kind of meal, and can even be enjoyed as a mid-day snack!